Living… in New York City in the newsie lodging house, a large room filled with boys sleeping in hammocks. Each morning Kloppman wakes the boys with his morning ritual, telling them: Ink's wet, the presses are rolling, the papers are stacking – rise and shine, make a dime, no news without the newsies. Then they’re off to work. Profession… newsboy for Joseph Pulitzer and his newspaper, the New York World. Everybody does the job differently. Some newsies get "corners" – same spot, same customers. Jack likes to keep moving, enjoying the life of the big city. He spots an opportunity; he sells a paper. That's the advantage of being an independent businessman, instead of working for wages. Interests… unionizing the rest of the newsboys so they can get a fairer share of the pay. Recently, Mr. Pulitzer has upped the prices of his papers in order to beat out his competitor, Mr. Hearst, which is bad news for the newsies. 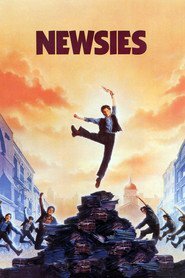 Even though the newsies don’t have hats or badges, they’ll stop the wagons and the scabbers, forcing the world to pay attention to them. Relationship Status… single. It's damn near impossible to have a girl in the dormitory. Though Jack is alone, he’s not lonely. However, when he meets his friend David’s sister, Sarah, he starts to develop a small crush on her. Challenge… leading the newsie strike successfully without getting caught. Jack has a secret that he has kept to himself: that he escaped from a correctional center for children and is on the run from Warden Snyder. On top of this, as much as he wants to help the newsies, Jack also dreams of escaping to Santa Fe, where he claims his parents are going to bring him home, once they find a ranch. Personality… loyal, charismatic, and determined. Jack is a natural-born leader, and he seems to have a knack for rallying the newsies around a similar goal. Despite feeling conflicted by his competing desires, Jack would do anything for the other newsies that he’s made friends with. Jack Kelly's popularity ranking on CharacTour is #1935 out of 5,000+ characters. See our top-ranked characters and read their profiles.